Labelling To Pack Enterprise - We provide comprehensive solutions with performance and quality base of labelling and packaging machines to fulfil customers business expansion needs. Our company premise is located at Tiara Square, Subang Jaya, Selangor, Malaysia. 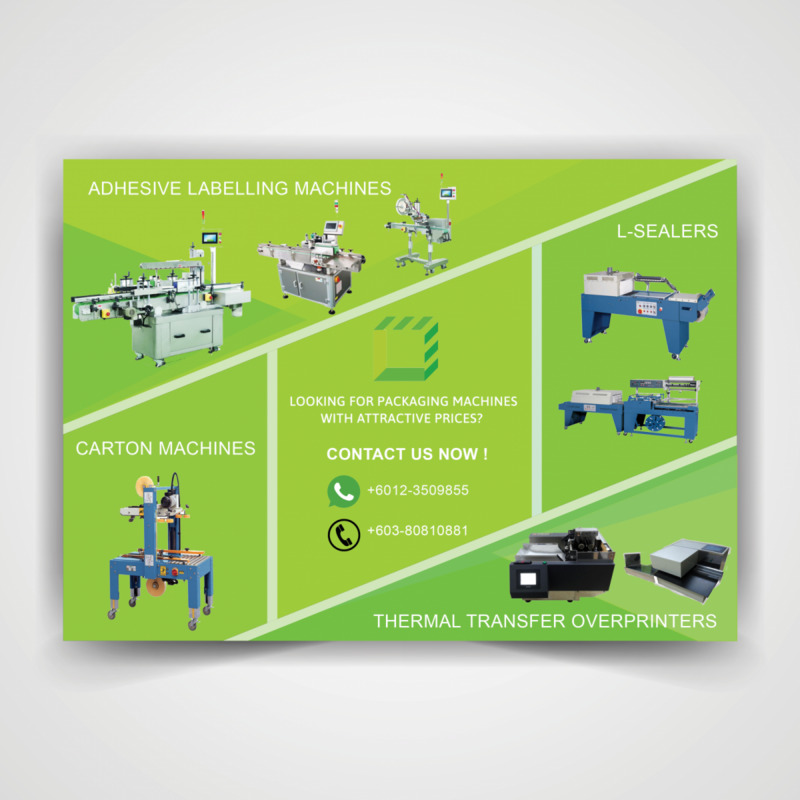 08-Jan-2019 Packaging machines in Malaysia with attractive rebates ! We provide comprehensive solutions with performance and quality base of packaging machines and consumables to fulfil customers business expansion needs. Our company premise is located at Tiara Square, Subang Jaya, Selangor, Malaysia. We specialize with supply and provide after sales services for comprehensive imported quality range of packaging machines and consumables to domestic and international market. 6, Jalan Tiara 2, Tiara Square, Taman Perindustrian UEP Subang Jaya, 47600 Subang Jaya, Selangor, Malaysia.